Welcome to Osis Display – a one-stop shop for all ecological interpretation and marketing services. We produce Interpretation Boards & Signage; Brochures, Leaflets & Maps; and Websites & Interactive Multimedia. Are you planning new promotions for 2018? Perhaps you are thinking about updating your website, or producing new brochures for your outdoor attraction? Look no further, as CD Interpretation has some great deals to kick off 2018, with serious savings on all our services throughout February and March. 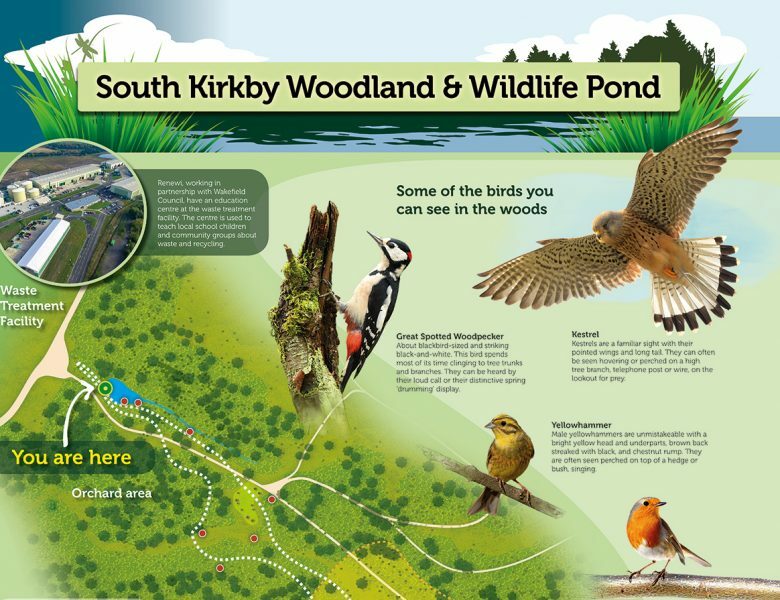 Osis Display is a branch of Osis Design Ltd specialising in the design of interpretation boards and brochures for nature reserves and protected areas such as SACs, SPAs, SSSIs, LNRs and SANGs. From design to delivery we supply a wide range of display boards and signage. We provide lecterns in wood, steel or recycled plastic, using vandal proof materials guaranteed for quality and longevity. We design brochures and leaflets for all types of clients and situations. Using bespoke wildlife illustrations or images sourced from stock libraries we can produce engaging and attractive designs quickly and efficiently. We build attractive, effective websites tailored to each project’s requirements. Our websites work across all browsers and devices, and are coded to be search engine friendly. We also produce interactive touch-screen and DVD presentations. We can design, produce, and deliver your interpretation materials, allowing you to concentrate on running your business. We can research, design, produce and deliver your interpretation materials, allowing you to concentrate on running your business. We design and build great looking, functional websites which can be updated by your team and which will work perfectly on all devices. We design all types of brochure, map, leaflet and booklet, attractively designed at very competitive rates.